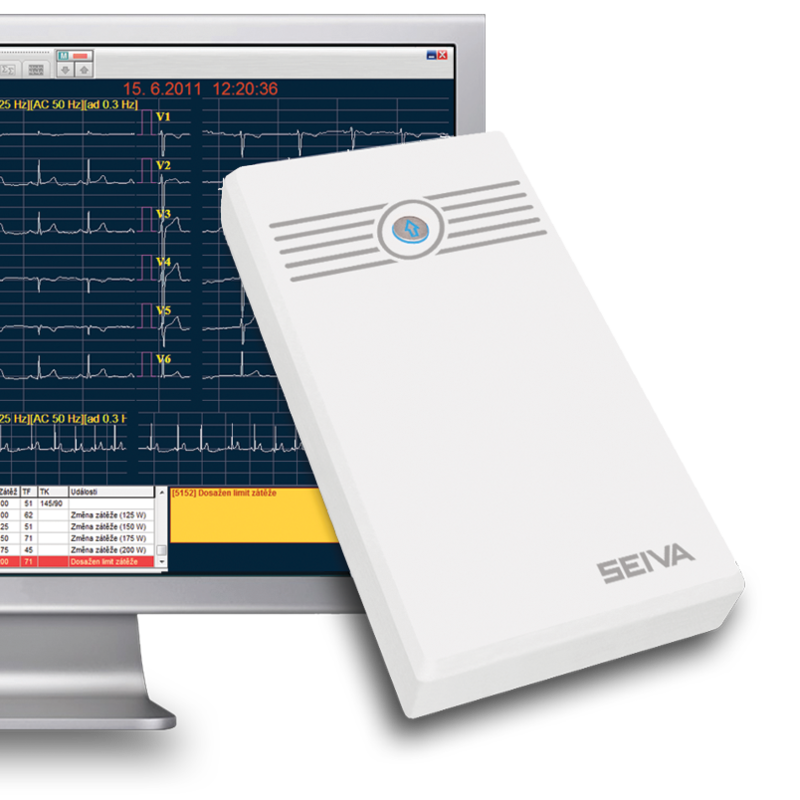 SEIVA Ergolog is a system designed for simple and precise recording of ECG Stress test examination. Design of the system comes from many years of in-depth experience of company SEIVA in this field. Ergolog excels especially in quality ECG record, simple operation, exact ST analysis and other parameters of ECG trace. Ergolog uses effective digital filters and evaluative algorithm SEIVA, which is original and represents top-end technology in this field. Also the device can be used as Resting ECG. Connection with Diagnostic system enables simple and safe manipulation with records and improves overview. Elaborate, simple operation relieves and speeds up work. Quantity and lay out of data on the display can be changed individually. Together with the device, standard stress test protocols are supplied. These can be modified according to needed levels, or create own protocols. Pre-set of load and measurement of blood pressure is automatic according to protocol. Manual entry into the running examination is also possible. Ergolog uses extensive know-how of company SEIVA in the field of digital filtering and digital processing of ECG. Thanks to this, the device gives exact and reliable results. New digital filters SEIVA for reduction of power-line disturbance and reduction of baseline drift, enables to receive highly exact record. The device uses original algorithms SEIVA for processing of ST and HR trends.